Whoever said that the best things in life are free might be on to something. After all, I did pick up the Black Swan Lane album, A Long Way From Home, for free in November 2008, when PostLibyan and I attended a concert at East Atlanta Icehouse by The Sun And The Moon, a late 80s band featuring band members from The Chameleons. Before the show, I spotted a box of Black Swan Lane CDs that were being given out while I was scoping the merchandise stand. Having never heard of Black Swan Lane before and having decided long ago that free CDs are generally only worth the price, my first instinct was to pass on taking a copy. Thankfully, curiosity got the best of me and I took my copy of A Long Way From Home, unwrapped it, and was happy to see that the band included Mark Burgess, front man of The Chameleons/The Sun And The Moon, along with Jack Sobel, who joined The Sun And The Moon onstage, and a few other associates of The Chameleons/The Sun And The Moon from over the years. Maybe it's just because I've long been an enthusiastic fan of The Chameleons and consider them, along with The Church, to be the best band that nobody listens to anymore, but I soon found Black Swan Lane's A Long Way From Home to be much to my liking. My most prominent impression of the album is that it comes across as a blend of The Church, The Ocean Blue, and the less-fiery material from The Chameleons. The music doesn't make me want to dance or think politically. Instead, it simply makes me want to look out the window. I decided many years back that most of my favorite music is just that: music that just makes me want to look out the window. A Long Way From Home clocks in at a hefty 79 minutes with songs that feature different vocalists, but still maintain a tranquil tempo of melancholic reflection. In fact, a few numbers with reggae vocals blend surprisingly well with the mood of the others. I wouldn't have expected a song like The Bird with vocals in the style of Lucky Dube to stand well alongside the next song, In The Ether, which would have fit in perfectly on The Ocean Blue's Cerulean. 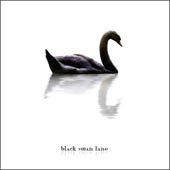 Still, Black Swan Lane pull the contrast off with grace and A Long Way From Home stands as a cohesive entity. The tracks with female vocals also swirl seamlessly into the fog of the album. It's difficult to pick my favorite tracks from the record, but the first track that grabbed me was What You Dream, a song that U2 could have included in the ethereal expressionism of The Unforgettable Fire. Disillusioned sounds like Steve Kilbey of The Church singing over a cool cascade of dueling guitars. The dueling guitar effect of acoustic strumming over melodic chiming in the mode of U2's The Edge is the prominent trademark of Black Swan Lane on this album, and it's one that makes A Long Way From Home a suitable addition to any road trip through rural areas. A review of this 2007 album is obviously long overdue, but once again timely in light of news from Black Swan Lane's MySpace site that the band recorded several songs during sessions at the time of The Sun And The Moon show where I picked up this CD. I'm looking forward to seeing Black Swan Lane in concert as they open for Ian McNabb on January 24, 2009, and I also can't wait to hear what the new material has to offer.